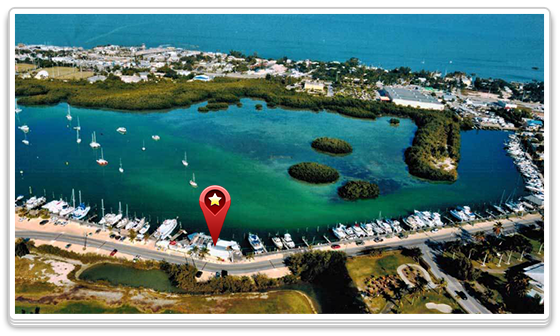 After more than doubling their fundraising goal, Dockside Tropical Cafe is ready to re-open and become a staple attraction to visitors and residents of the Florida Keys. The original café, neglected for years, became the passionate undertaking of Eric and Kim Stone, who decided to bring the landmark location back to life. Eric and Kim are long time beachside residents and experts in all things tropical. Eric is a Trop rock singer/songwriter with 13 CDs under his belt and Kim is the founder of a successful seaside yoga business. The duo leveraged their extensive connections in the cruising, boating, and wellness industries, reaching their funding goal in just 5 days. Eric and Kim will be completing renovations on their waterfront restaurant, bar, and music venue this fall, opening their doors and dock to patrons from around the world.